DANOBAT, specialised in the manufacture of equipment for the railway industry, continues its market expansion and was awarded a major order in Belgium. This time, DANOBAT was awarded a contract by the company Vlaamse Vervoermaatschappij De Lijn that operates the urban transport in the Belgian region of Flanders. The contract entails the delivery of an underfloor wheel lathe for re-profiling wheels of the trams running on this line. The lathe will be installed in the city of Ostend. 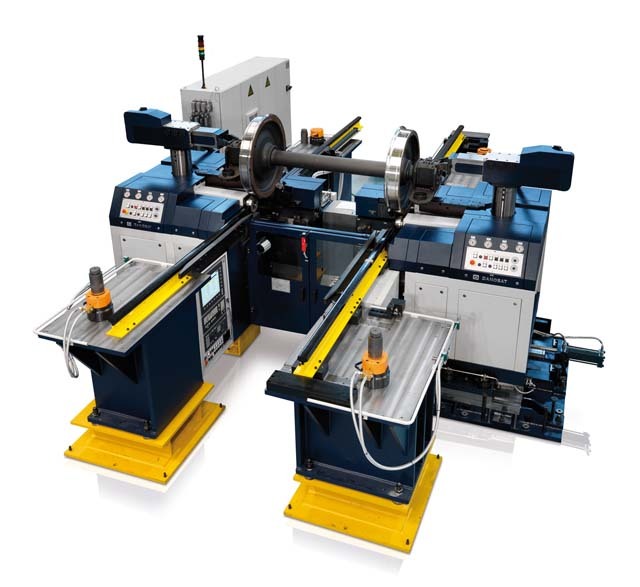 DANOBAT underfloor wheel lathes are machines specifically designed for the corrective maintenance of the tread and brake discs on trains, without the need for dismounting the train axles, to regenerate the profiles of wheels subjected to normal wear and tear arising from interaction with the rail. DANOBAT sees this project as key to consolidating its presence on the Belgian market in projects where equipment for the maintenance of any rolling stock is required. In addition to manufacturing individual products for the railway industry, DANOBAT specialises in providing turnkey solutions for production plants and maintenance workshops for rolling stock. Proof of this are the three contracts signed recently by DANOBAT for the manufacture of complete maintenance and manufacture lines for bogies and axles in Australia and India.